The rise of Bitcoin to global prominence is now seen as a start of the crypto revolution. The technology of distributed ledger without a single point of failure, with every entry being immutable and viewable by anyone is on its way to change many industries. However, every progress comes with a price, and cryptocurrencies are no different. As a result of Bitcoin’s initial design being embraced by many other projects, the network security is maintained by the so-called miners, who verify all transactions made in the past 10 minutes and generate new coins. These guardians of the network are also avid consumers of electricity because mining Bitcoins requires special computers capable of executing a huge number of operations per second. With mining difficulty, that is, the effort required to generate one Bitcoin, increasing over time, more and more mining power is required. That’s why many miners tend to join in clusters or pools, in order to increase their chances of successfully mining new coins. The most notable one, called Slush Pool, is the subject of this review. 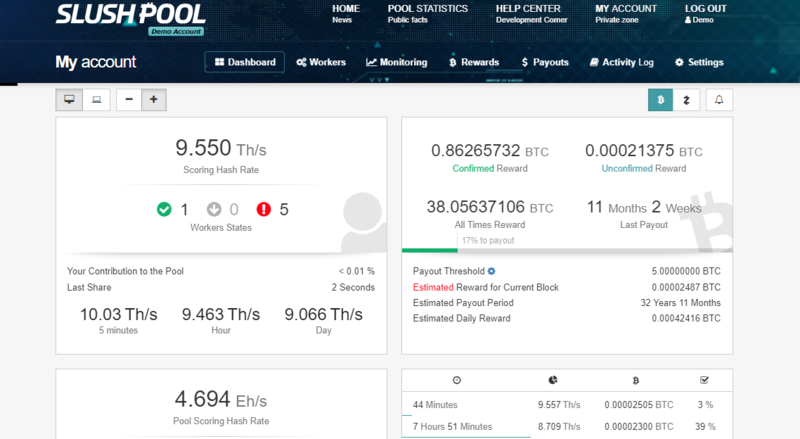 Here, we’ll analyse the concept of pool mining, introduce Slush Pool and its features, as well as give our unbiased opinion whether mining in a pool pays out. Read on and learn all important facts! In order to comprehend the growing need of miners joining together in order to successfully mine coins, you first need to learn a bit about proof of work. In the world of cryptocurrencies there are two main ways of generating coins – proof of work and proof of stake. The latter one incentivizes users to keep their coins staked in private wallets away from exchanges, giving them the chance to successfully mine new coins based on the amount of staked ones. This approach is highly sustainability-oriented since it requires only enough electricity to power devices that contain the wallet software. In some cases, it can be ported to small and energy-efficient devices such as Raspberry Pi, reducing the need for electricity to a bare minimum. On the other hand, proof of work concept requires electricity, and a lot of it. In order to generate a new coin, a significant effort must be made in order to solve complex cryptographic puzzles. In earlier days of Bitcoin, this could’ve be done using a regular office computer, since the difficulty of these puzzles was fairly low. However, with time passing by, difficulty rose to some pretty high levels, rendering PCs obsolete when it comes to mining. Some new machines specialized for solving these puzzles, called ASICs, became the standard equipment for mining not only Bitcoin, but a majority of other cryptocurrencies as well. But even these machines weren’t enough to guarantee that a single person could mine a new coin. Furthermore, being the crucial part of the network security and stability, miners had to find a way to keep their effort profitable due to the increasing mining difficulty. That’s why they began to assemble into groups called pools. It is merely the implementation of the fact that, if more people are working on the same task, there is a greater chance that it will be completed. Pools tend to make a fair division of the reward to all participants. For example, if a pool has 1000 miners and only one of them manages to be the first one to solve the puzzle, the reward is shared among all of them based on the mining power they brought to the pool. In other words, miners with more mining devices will receive higher portion of the reward. Of course, there is a greater chance that some of the other 999 miners might mine the next coin, thus bringing more rewards to the table. This is why the concept of pool mining is becoming a de facto standard for a majority of proof-of-stake coins. And Slush Pool is the pioneer of this approach, sporting many interesting features that have established it as a go-to solution for pool mining. But before making a thorough analysis of them, let’s turn this Slush Pool review to the pool’s very inception, and see how it has developed over time. Read on! Slush Pool might not be the biggest Bitcoin mining pool in existence, but it is the first one, announced way back on November 27th, 2010. It was designed and brought to existence by the team behind the SatoshiLabs, a company headquartered in Czech Republic, and it’s one of the most stable mining pools you can join at the moment. SatoshiLabs is a prominent name in the world of crypto that has also produced the first hardware cryptocurrency wallet, called Trezor. They are also behind CoinMap, a sort of Google Maps for businesses that support Bitcoin payments. Since its inception, Slush Pool was always tied to Bitcoin mining, discarding all forks that were briefly considered as more profitable to mine, such as the recent BTC-BCH clash in November 2017. Their public announcements throughout the years positioned them as supporters of Bitcoin Core network, and they have stood their ground for almost 8 years. In the world of crypto, eight years is a lifetime. As you might already know, apart from getting 12.5 Bitcoins as a reward for creating a new block, miners also get all transaction fees connected to the transactions that are included in the newly generated block. However, with pools, this is not always the case. There are some pools where these fees are partially shared with the miners or kept by the pool owners. Slush Pool distributes all transaction fees to its miners, making it the second most profitable Bitcoin pool in existence. Also, with hash rate of around 4.64 Eh/s (standing for exahashes per second or 2.4 x 1018 hashes per second), it is currently the third largest pool, controlling around 13% of the Bitcoin network’s total hash rate. For a couple of days in November 2017, during the aforementioned “clash of hash rates” between Bitcoin and Bitcoin Cash, Slush Pool held a total of 20% of Bitcoin’s hash rate. At that time many pools switched over to mining Bitcoin Cash since its difficulty hasn’t been adjusted properly. For a brief time, Slush Pool was the biggest Bitcoin mining pool in the world. Its mining power doubled in just 3 months, and last year they’ve added mining support for Zcash, another popular POW-based cryptocurrency. This pool is one of the few trusted pools that are both technologically advanced and easy to setup, thus being the first choice for newcomers. And there is a whole list of great features that serves as a proof. This Slush Pool review will cover them next! As we have already stated, one of the most important features of Slush Pool is its immense stability and faithfulness to its core principles. From the very start, and particularly during the turbulent times for Bitcoin in the last couple of years, this pool always stood at Bitcoin’s side. 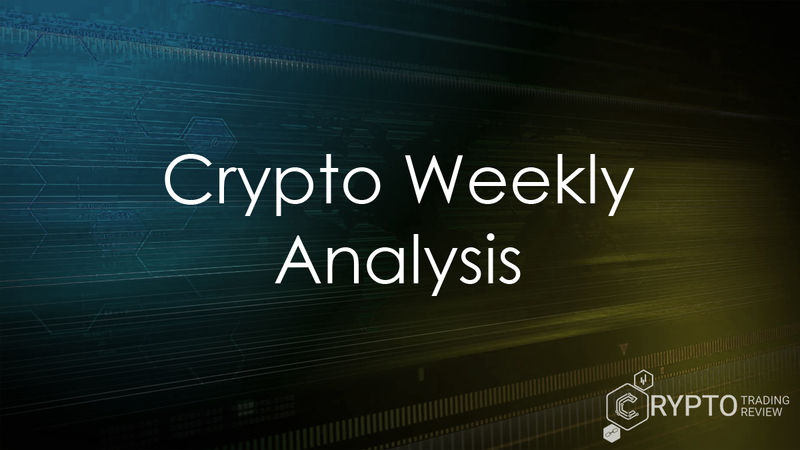 It is one of the most respected pools in existence that has since mined over a million new Bitcoins and has an immense impact on the network security and stability so far. Payouts are also stable, without any suspicious delays, meaning that each miner will get their earnings as soon as the network makes it possible. Developers are also extremely active and are deeply community-oriented. Each miner gets the right to make their own improvement proposal, as well as to upvote or downvote existing proposals. The weight of the vote depends on the miner’s total hash rate – the more hash rate you have, the more weight your vote has. Development team has already implemented a number of proposals made by the pool users, and currently the most upvoted proposal is for implementing Litecoin mining support. Who knows, maybe the pool will broaden its mining offer in the near future. From the aspect of support, users can stand with Bitcoin Core protocol, decide not to vote or say that it’s all the same to them. In that case, the pool itself decides where their mining power will be allocated. 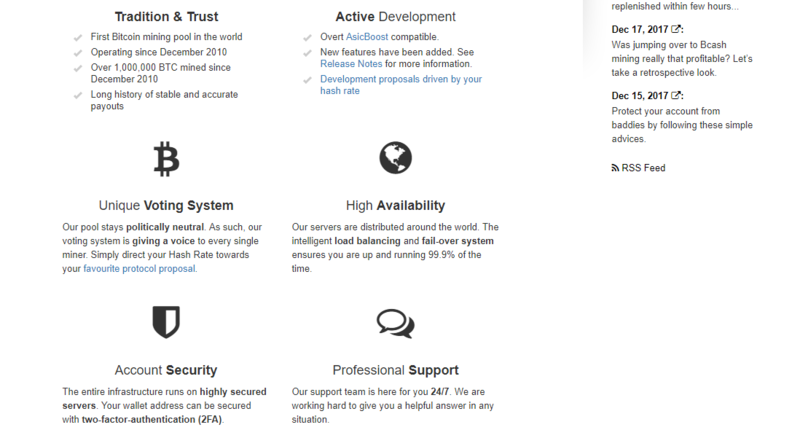 High-end servers distributed across the globe are a rock-solid guarantee that you’ll be able to mine 24/7, while customer support team will be there for you the whole time. And finally, as for the account security, all systems are coated with CloudFlare protection against DDoS attacks, while you can activate two-factor authentication as well. This means that you’ll be asked to enter a unique set of digits on each login, generated by the application on your smartphone. As you can see, the team behind the pool really knows how to stand out from others. If you’re intrigued enough now, stay with us as this Slush Pool review is about to cover some important terms and explain how to open an account! So now we’re getting a bit more technical. Since we’ve seen why pool mining exists, how Slush Pool came to life and what core features it offers, it’s time to explain how one can join them. 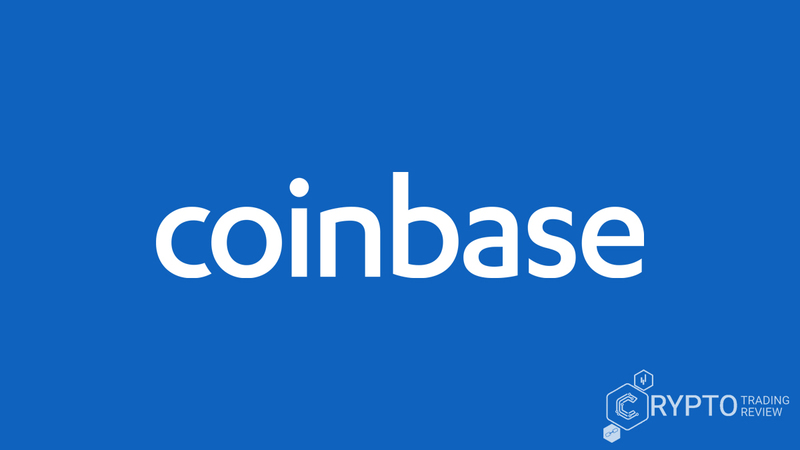 However, prior to the whole procedure, we’d like to give a bit of explanation regarding some terms tied to cryptocurrency mining that might not be clear to everyone. Let’s dig in. If you’ve come this far, you probably know what a miner is. Formerly known as a man wearing overalls digging out precious ore from the tunnels, modern miners are highly specialized computers that give the best ratio between spent electricity and hash rate. The mentioned metric denotes how many hash function solutions can your miner provide in one second. This is crucial for the mining success – the higher the hash rate per second, the higher are the chances of successfully finding the next block. The time span between the two blocks that are found by pool participants is called round and it can vary significantly. Sometimes it takes just seconds, while sometimes it takes many hours to find the next block. Share is the unit for quantity of each miner’s work submitted to the pool. It includes all hashes calculated by the device that are in accordance to the calculation conditions, depending on the current network difficulty. Vardiff, or variable difficulty algorithm takes care that more powerful machines get more demanding mining tasks in order to maximize the efficiency of every miner. Alert limit is the lowest hash rate indicating that your miner properly contributes to the pool. If the rate falls below this limit, it is usually a sign of poor internet connection, rejection of current difficulty rate or hardware problem with mining device. Stale rate denotes the number of shares that are being sent to the pool but are connected to the already found block. It is the indicator that you might experience some network latency, or that your miner lacks raw computing power. Finally, the most abstract of all, luck metric is the ration between the number of shares needed for finding the block and the average number of shares needed for finding the block. Now that we’ve completed our short glossary in this Slush Pool review, let’s get you through the account setup! In order to become a part of the pool, the first thing you need to do is to have your mining device. Due to the immense increase in mining difficulty over time, application-specific integrated circuit or ASIC miners are your only option here. They have the best input/output ratio among all other since they’re designed specifically for mining cryptocurrencies. Although it will give you a great performance, keep in mind that one of these can cost over 2000$. You can also make your own so-called mining rig using common computer components and high-end graphic cards. Mining is not a cheap hobby, so be sure to check your mining profitability before investing and, of course, do your own research. Next, you’ll need a Slush Pool account, which can be opened in under a minute. Simply provide your desired username, password and email address, and wait for the confirmation email. Click on a verification link inside it, and your brand-new account is now active. Now this is where the procedure forks based on the currency you wish to mine. For Bitcoin, simply choose the server address based on your geographical location and input your account’s username and any password. There is no security issue here whatsoever, since in case anyone attempts to mine with your credentials, they’ll be mining for you. 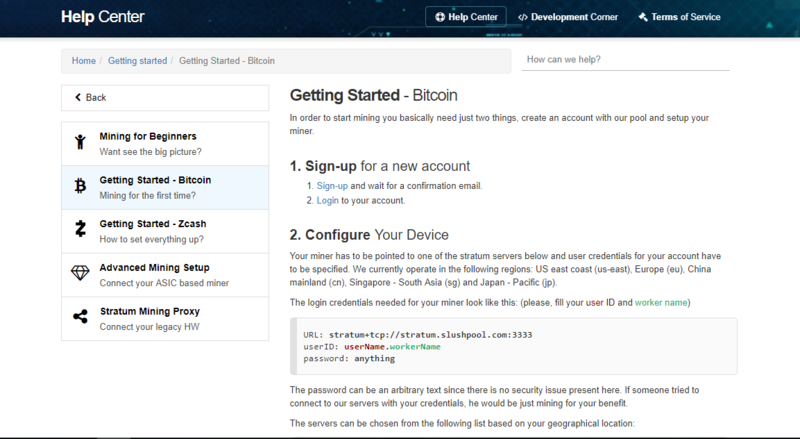 After that, choose one of available mining software and enter this information pointing to Slush Pool servers in it. You’ll also need to provide your public Bitcoin address. If you don’t have it yet, you can easily obtain it by using many available online, desktop, mobile, hardware, or paper wallets. That’s pretty much it – all earning made from Slush Pool mining will be automatically transferred to your wallet address. If you choose to mine Zcash, the procedure is fairly the same. The only difference is that you’ll be installing different software to your miners and/or computer linked to them. There are both payable and free solutions, and you’ll have to make your due diligence and explore which one will be the best for you. The whole setup procedure is explained in detail on the pool’s website, so you don’t have to worry for a second. After you’ve provided your Zcash payout address and started your mining devices, you can enter Dashboard and check if everything is in order. And that’s it – you’ve officially started mining cryptocurrencies. Now, let’s take a look at how to predict your earnings and how they will be paid out. When it comes to the math behind Slush Pool payouts, everything is as transparent as it can be. 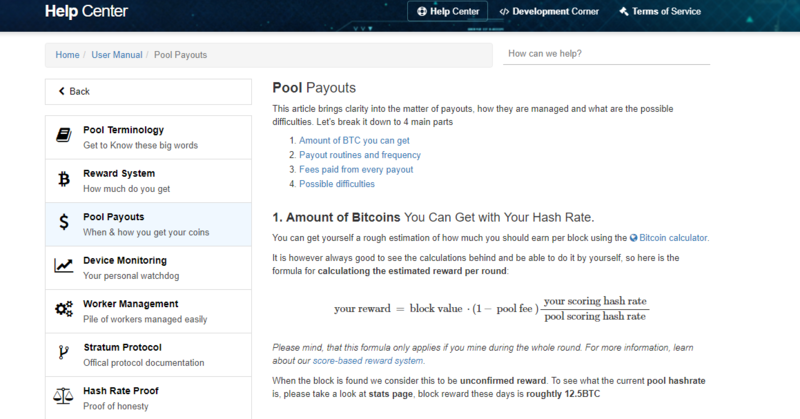 Expected payout per successful round is calculated using a simple formula that takes into consideration block value, fixed pool fee and, hash rates of both you and the pool in total. There are some tweaks to the formula in cases when you don’t have your miners online all the time, but you get the general idea. Of course, there are also various online calculators that can help you predict your expected returns per each generated block. Currently, block reward on Bitcoin network is 12.5 BTC. The moment Slush Pool manages to find the block, the calculated revenue per user is considered unconfirmed. The confirmation comes after the aforementioned blocks have received 100 confirmations from the network. In other words, your payout will become valid once 100 more blocks are generated in the network, which takes up to 17 hours. Don’t worry, it is just a precaution in the design of the pool, in order to make sure that the network accepts the mined block. Your payout will be automatically transacted to the public Bitcoin address associated with your Slush Pool mining account after it crosses a certain amount. This is called the Send threshold, and it can be set by users to be as low as 0.001 BTC. Lower values are not accepted because Bitcoin network fees might surpass them, as well as to avoid congesting the network with transactions that are too low. Here we have to mention two kinds of fees – one of them is fixed and mandatory, while the other depends on your Slush Pool payout threshold. We already mentioned that Slush Pool is one of those companies that share all the network fees to the miners, keeping absolutely none of them. However, some things need funding, and that’s why you’ll be paying a fixed fee of 2% on each payout. Although the amount might act as a problem to some (if you request a payout of 1 BTC, based on current prices, you’ll pay around 200$ in fees), that’s how the pool is set up. And we don’t have to emphasize once again the list of fantastic features you’ll get here. As for the other fee, it is activated only if you set your threshold for triggering payouts to a value lower than 0.01 BTC. In that case, the fee is fixed at 0.0001 BTC. And lastly, there are some cases when you might experience some minor payout delays, which comes as a consequence of the pool’s security policy. The pool administrators keep a smaller portion of reward in a hot wallet that is capable of making immediate transaction. Once that wallet is emptied out, funds need to get transferred from the offline computer, acting as a cold wallet. This might result in several hours of delay for your payouts, but don’t worry – they will reflect on your wallet eventually. Okay, so we’ve covered all technical aspects in this Slush Pool review, and our unanimous opinion is that this is a fantastic pool for both newcomers and more experienced miners. However, there is still one important secondary feature left uncovered, called merged mining. Learn what it is and how you can benefit from it! By definition, merged mining is a mining method that enables users to calculate hashes for more than one blockchain at the same time. In other words, miners will simultaneously calculate hashes for both selected blockchains, thus having a chance to find both blocks and earn higher reward. Users of Slush Pool can’t actually opt out of merged mining since it is forced by design of the pool, but the good thing is that you can’t actually lose anything with this feature enabled. Instead, you can only raise your gains a bit. 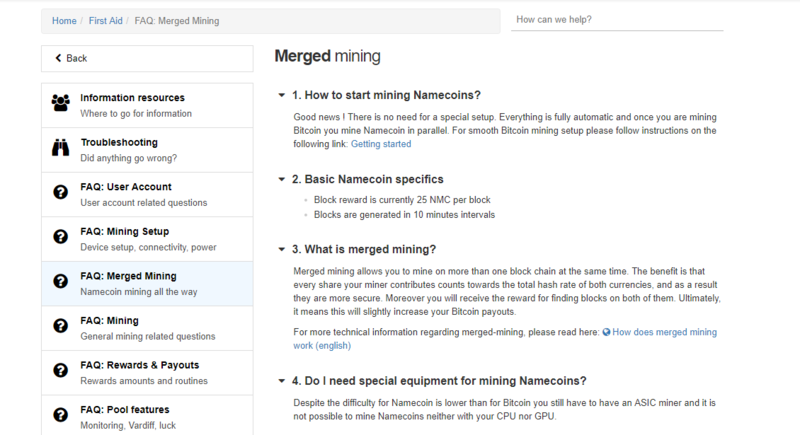 Slush Pool enables you to mine Namecoin along with Bitcoin via merged mining feature. The Namecoin value is much lower than Bitcoin’s (currently close to 3$), block generation time is also 10 minutes, while 25 NMC coins are distributed as block reward. You don’t need to do any additional setup – everything is working the moment you plug in your miners and start mining on Bitcoin blockchain. The principle of merged mining is actually pretty simple – each share sent to the pool contains hashes for both chains. If Bitcoin block is found, it is added to the blockchain and Namecoin hashes are discarded. If a Namecoin block is found, due to the fact that its difficulty is significantly lower, the share containing both Bitcoin hashes and Namecoin transaction list serves as a proof of work. The new block on Namecoin chain thus gets created and validated by the network, ultimately ending up at the very end of the blockchain. This procedure secures both networks, which is beneficial for Namecoin, and it also enables miners to get some additional payouts as well. And it doesn’t cost you any extra resources. You don’t even have to provide Namecoin address, since the Namecoins received as reward are automatically converted to Bitcoins using third-party exchange account. As you can see, merged mining is yet another great feature of Slush Pool. However, there might be a situation where you’ll need some technical assistance, or you’ll need someone to back you up in case your revenue is not as high as expected. In times like that, you’ll want to contact someone reliable who can help you. Find out how to do this in the next part of our Slush Pool review! 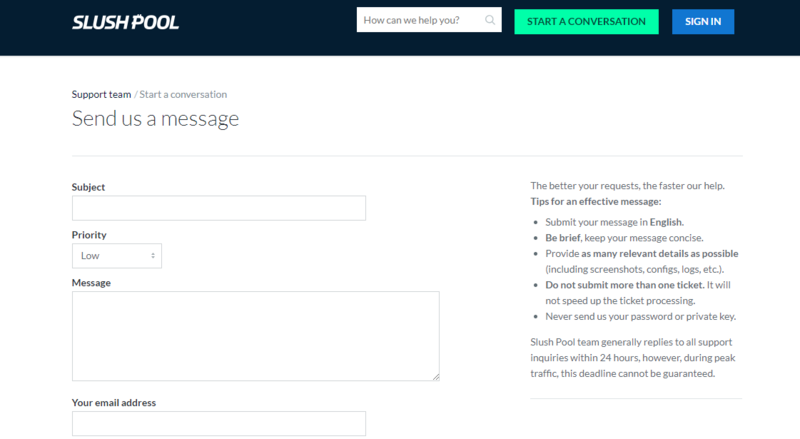 Contacting Slush Pool’s support team is fairly easy and can be done in several clicks. You can access the contact form on the company’s website or simply send an email to the support desk. Be sure to include your username and provide as much details as you can regarding the issue, such as screenshots and error logs. This will help greatly in finding the solution to your problem. There is also an option for contacting the company members through the official IRC channel. All mining-related discussions are also present here, as well as new block generation announcements. However, prior to actually contacting the support, be sure to go through the rich educational materials. These include “Getting Started” guide for newcomers, user manual, rich FAQ section with dozens of subsections and Troubleshooting area with the most common problems and solutions. Also, be sure to follow the company’s official Facebook and Twitter profiles, since it often contains information about new updates and pool status. Our experience with the support team was extremely positive, and we can wholeheartedly state that, if you happen to stumble upon a problem of any kind, this team will surely solve it. That being said, we can wrap up our Slush Pool review. 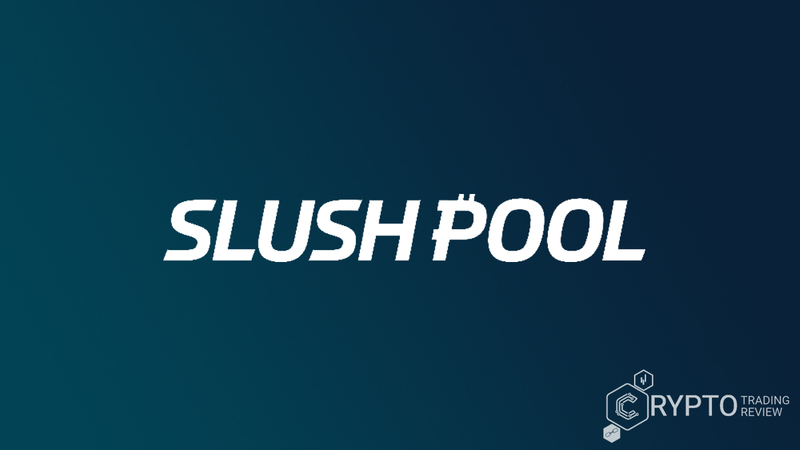 Being the oldest and most reliable Bitcoin mining pool in existence, Slush Pool definitely deserves your attention, regardless of your previous level of mining experience. It boasts some great features including easy registration procedure, great safety measures, superb tracking interface and regular updates from the development team. Besides that, it also supports merged mining, 2FA methods and regular payouts – all with the reasonable 2% fixed fee. We can strongly recommend this pool to everyone interested in mining core Bitcoin chain, as well as to anyone interested in starting their own mining journey. With Slush Pool, you seriously can’t miss!